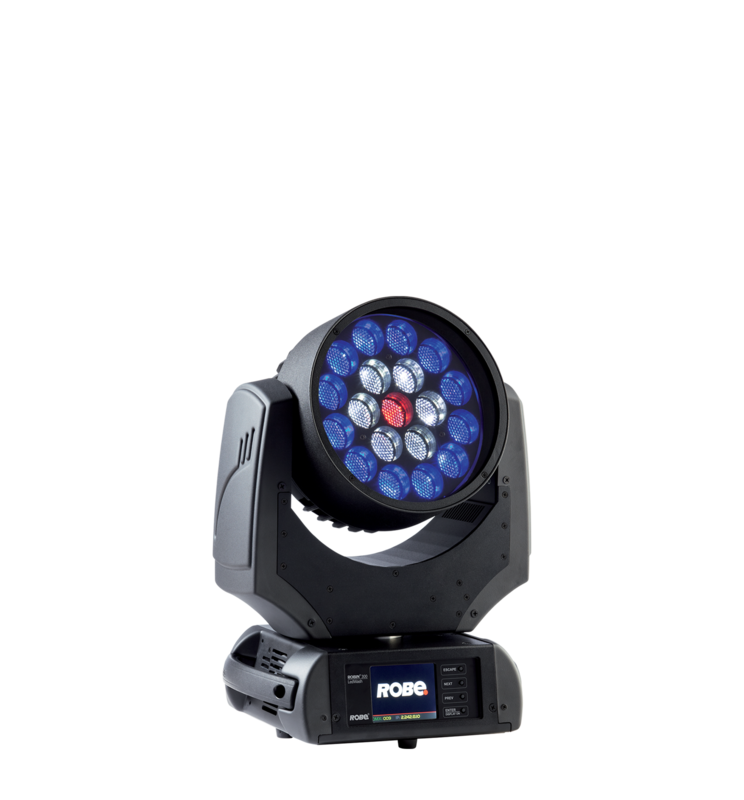 The Robe Robin LEDWash 300 utilises 19 multichip LEDs and motorized linear zoom of 15 – 60 degrees. The Robin 300 LEDWash offers great flexibility with superior homogenization of the light source. The LEDWash 300 offers smooth colour mixing dynamic array of true colours and hues. Due to its lightweight and compact design, this fixture is perfect for all small-to-medium applications. Production Hire own a state of the art Robe Robin LEDWash 300 for dry hire to support your live music event. Call or contact us for your free no obligation quote regarding Robe Robin LEDWash 300 dry hire. One of the Production Hire team will be happy to help.